The other day, my 15 month old was really fussy after her morning nap. She had slept well and I was trying to figure out what could be the matter. She's my third so I know to go down the list. 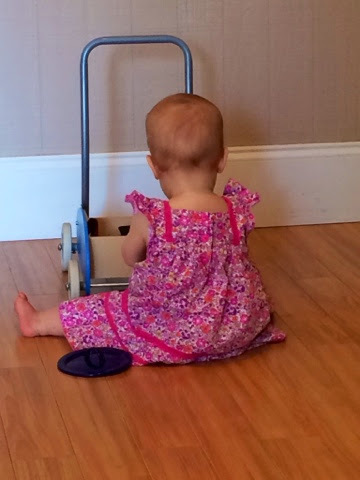 I thought that I had tried everything: food, teasing, reading, diaper, sibling time, favorite toy, snuggling, baby carrier--nothing was working. Then, she reached for her sippy as we passed by it. She was thirsty! How could I have forgotten to try that first? As I watched her drink, I thought about all of the obstacles this little person would have if she try to get herself some water. It would be impossibly difficult for the poor thing! In the midst of these thoughts, a Scripture verse came into my mind. 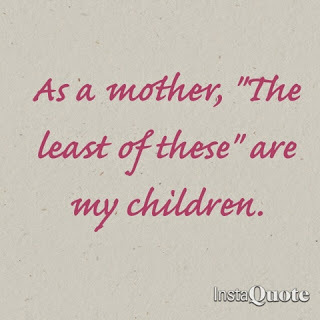 I realized that, as a mother, “the least of these” are my children. 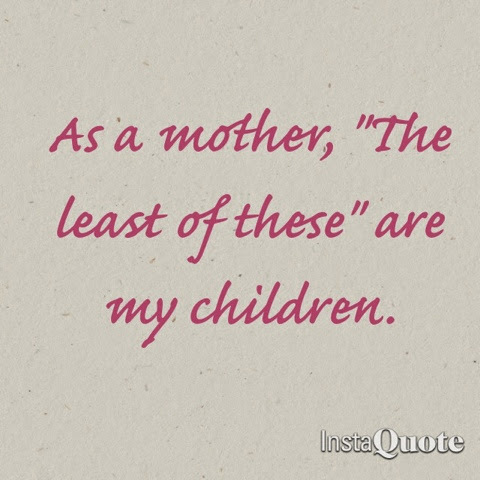 They need me to meet their basic needs because they cannot take care of themselves. And here is Jesus himself saying that serving them is serving him directly. I have a great desire to be with Jesus. I love the Mass and praying in front of the tabernacle in quiet. How encouraging it was to realize that although I don't get the quiet time with Jesus that I yearn for daily, I am literally drawing closer to him when I care for my children. He is close at hand in them, every day and night, inviting me to love him there, where I am needed most.